Posted November 17, 2012 in 2012/11, Odds & Ends. I started the Simon and Kirby blog back in March 2006. There were a number of reasons that I began blogging but I always felt the main benefit to me was that writing allowed me to clarify my thoughts. Certainty popularity was not a concern which was fortunate since tracking software indicated that initially my readership was very small rising to about 35 a day. This changed when Mark Evanier’s “Kirby: King of Comics” was published. It was not long afterwards that my visits rose to about 500 a day. To be honest I am not sure exactly what these numbers mean but clearly there was a dramatic increase in interest in Simon and Kirby. 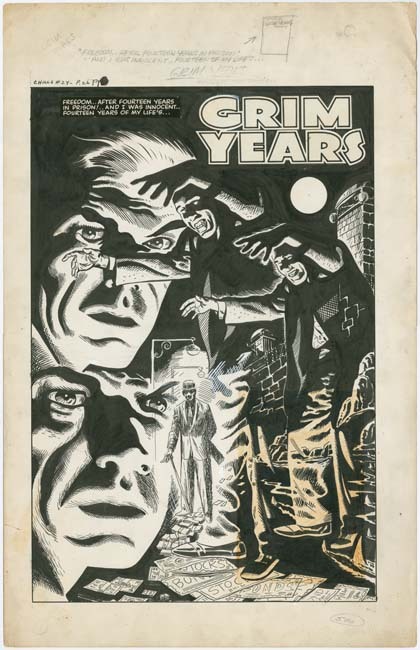 There became a greater interest among publishers as well as books reprinting Simon and Kirby material became more common. One of these publishers was Titan for whom I began to provide restorations. That restoration work became a second job taking up pretty much all of my spare time. But I felt that blogging was also important and I somehow found time to devote to it as well. However it has recently become clear to me that difficulties presented by blogging now have outweighed the benefits. While by no means have I exhausted Simon and Kirby topics to write about, I have managed to cover most of those I consider important. For reasons that I will go into now, it is very important that I finish restoration of the Horror volume of the Simon and Kirby Library soon enough that it can be published in 2013. And I want to begin planning a new project, one having nothing to do with Simon and Kirby or comic book history. 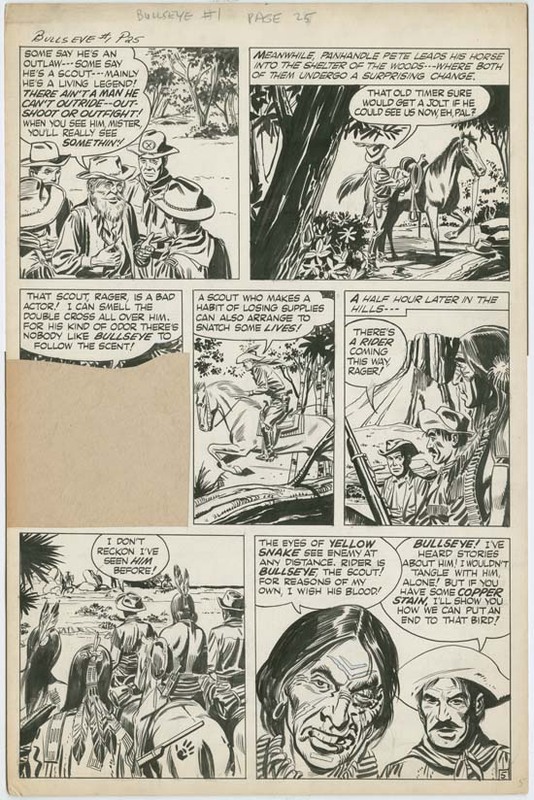 There are some other reasons as well, but the bottom line is that I have decided to discontinue posting on the Simon and Kirby blog. I will try to answer some questions that my decision is likely to bring up in the minds of some of my readers. First off, does that mean I am no longer interested in the study of Simon and Kirby and their history? Not at all but I feel that at least while I am working on the Horror volume I can spare little time for such investigations. I am sure once I have finished with my restoration work I will once again find time to devote to this subject. I feel there is still some unfinished business. I have not had the time to properly defined the lettering of Ben Oda. Nor have I properly studied Joe Simon’s long running Sick magazine. And there are some smaller issues that I would like to study as well. 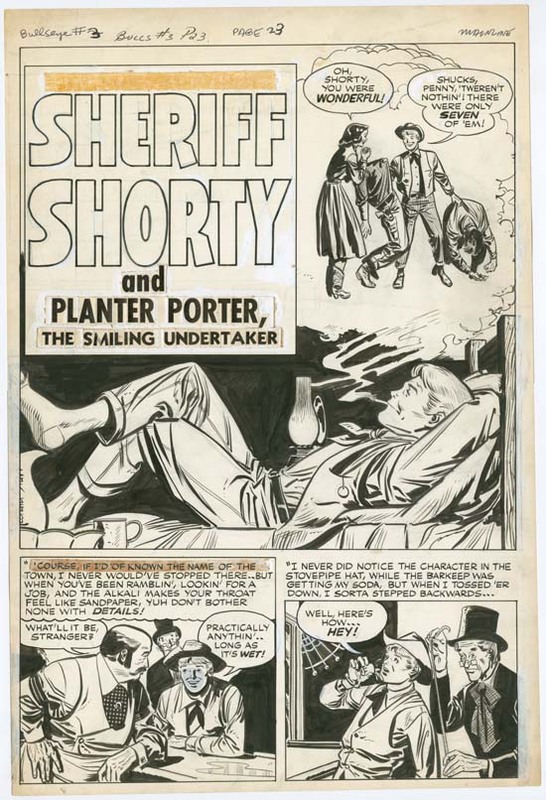 Will I return to posting on the Simon and Kirby blog? Well I do not like to use the word “never” but all I can say is that I have no plans to do so. 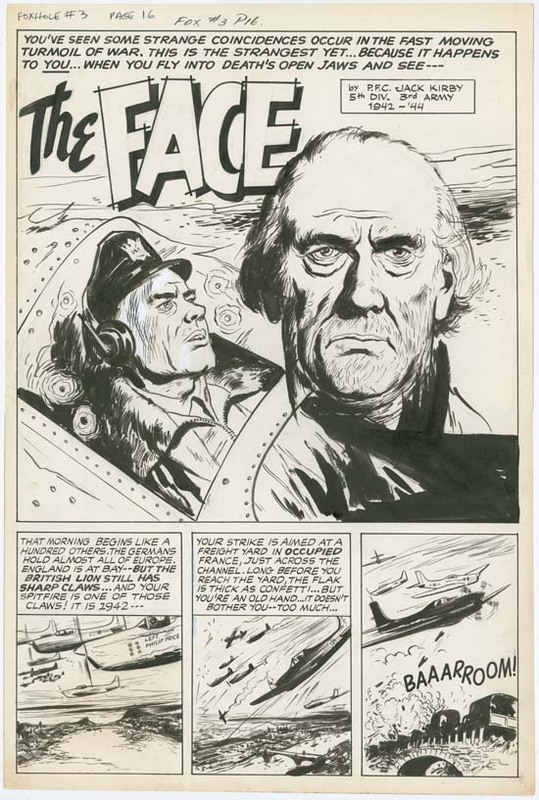 Will my investigations and the contents of the blog write become the subject of a Simon and Kirby book? 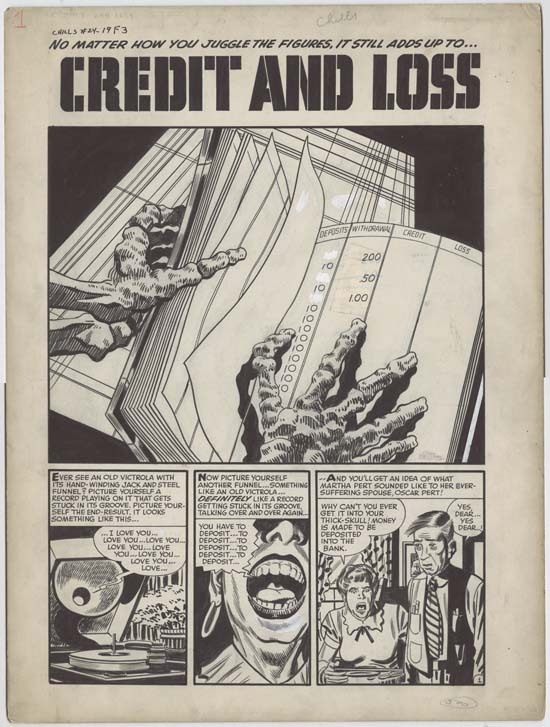 While there is now a market for Simon and Kirby reprints I see no signs that there is one for an art history of the two collaborators and the artists who worked for them. One of these artists was Mort Meskin who in recent years has been the subject of some publications. But even Mesin’s popularity has not risen enough to get him elected to the Eisner Hall of Fame. And Meskin is the only S&K studio artist who has achieved any recognition in recent years. Others like Bill Draut, John Prentice, Bob McCarty and Jo Albistur are virtual unknowns to most of today’s comic book fans. That is the bad news, the good news is that publishing for electronic reading devices such as iPad or Kindle has made great advances. I can envision a day when I might find enough spare time to put together a book for some form of electronic publication. What about the future of Simon and Kirby publications in general? I am sure more reprints will be done. Titan’s Science Fiction volume of the Simon and Kirby Library should be out in March. I have not seen them but Titan has proofs for the book and I have heard that they came out very nice. As I said, I am currently working on the Horror volume which I expect to be out late in 2013 but certainly no later then early 2014. After that I am not sure what to expect. I have seen a proposal for one future book, but I do not like to discuss such matters because they all too often fail to reach actual publication. I am convinced that some other publications concerning Simon and Kirby will be done and I like to think I will participate in at least some of them. What about the future of the Simon and Kirby blog itself? 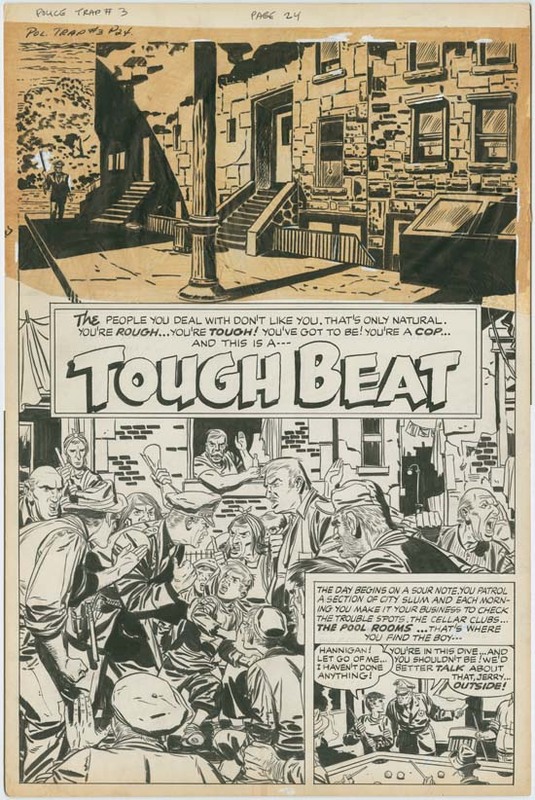 The Jack Kirby Museum, who sponsors this blog, have agreed to continue to keep it up. I have mixed feelings about this because a blog is meant to be read like a periodical publication. This is particularly true in my case because my opinions on certain subjects have changed with time. It is not that unusual to find older posts with artist attributions that I later changed. Be that as it may, there seems more benefit to leaving the blog accessible compared to removing it. I will continue to allow comments however in the future all comments will be moderated. I do not want the blog to be subjected to spam, trolls and cultists. And I am reachable by email for those looking for a more private or faster correspondence. One thing I do plan to do over the coming weeks is to update my checklists and add a few more. Writing the Simon and Kirby blog has been a rewarding experience. I would like to thank those who have read my posts or even just stopped by to look at the pretty pictures. Addition: I cannot believe I forgot to thank the Jack Kirby Museum for hosting my blog and Rand Hoppe for all his support. The Kirby Museum is an invaluable resource that needs all our support. So if you are not already a member, why not join today! Posted November 3, 2012 in 2012/11, Odds & Ends. Sorry but no there will be no regular post this week. My electricity was out from Monday until Friday so I had been unable to prepare anything. I consider myself fortunate in that my neighborhood received little physical damage from storm Sandy and my power has been out only for a limited time (I work with people whose power will not be restored for some time). But it does remind you of those things you take for granted. I should have another Speaking of Art post next weekend.